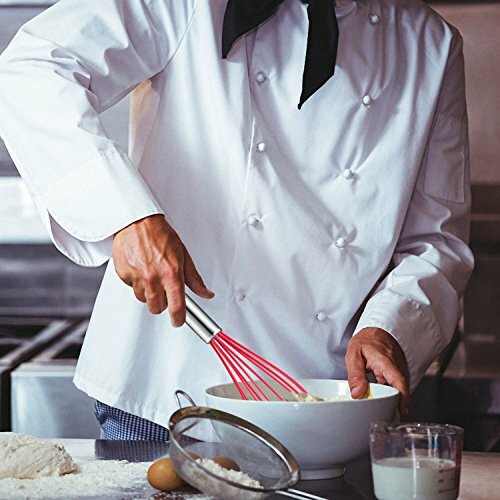 Whisk:Use it to stir egg liquid or butter, mix some ingredients, it is better to save energy when you use in one direction. Basting Brush: Use it to brush the cookies, dessert before oven baking. It is also a good helper for BBQ. Spatula: Use it to scrape the cream when making birthday cakes, and also can cut the cake into small piece. 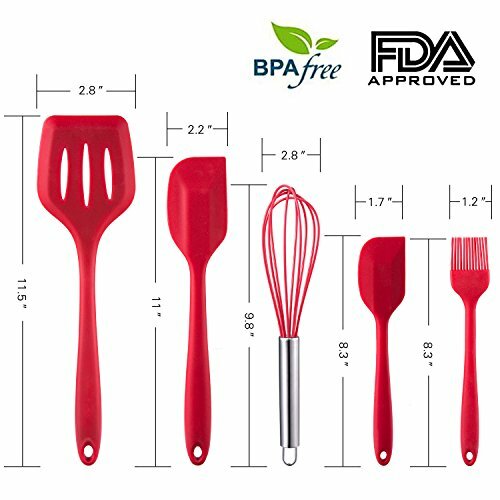 Slotted Spatula: Use it to fry egg, sandwich and etc. Also can be used in stirring vegetables and other ingredients. 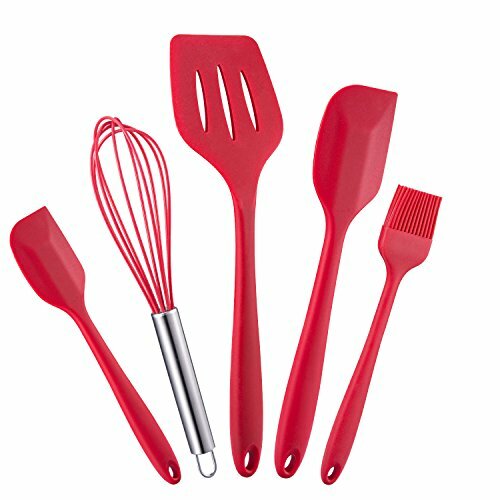 Why choose WARMWIND silicone baking utensil sets? * Soak with boiled water before first using. 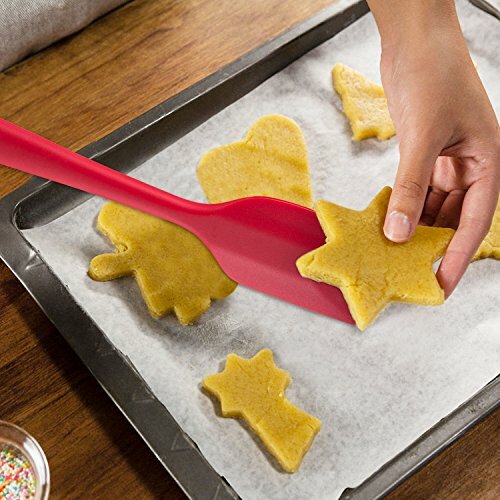 ★Premium Quality: Made of 100% food grade silicone, our silicone baking utensils are FDA-approved and BPA-free. They are eco-friendly, no peculiar smell, safe to your family and friend. 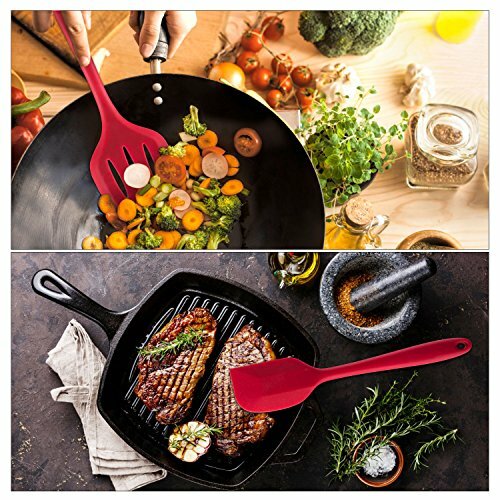 ★Considerate Design: Each spatula is added to stainless steel inside to make sure they are durable and sturdy. Besides, each set adopts ergonomic design for comfortable grip, and hanging loop on each one for easy storage. 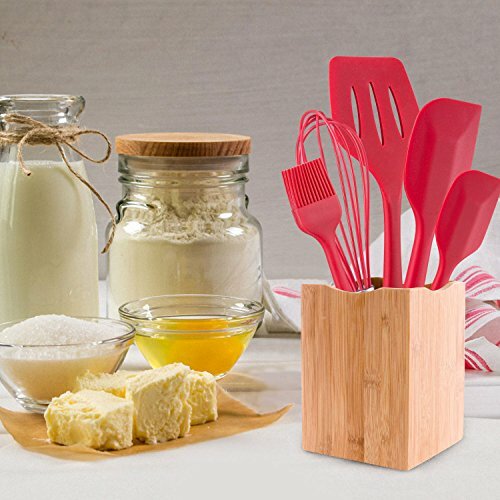 ★Functional Use: The silicone utensil sets not only a good helper for birthday baking, but also useful to cooking and picnic. And it must be a good gift for your loved family and friends. 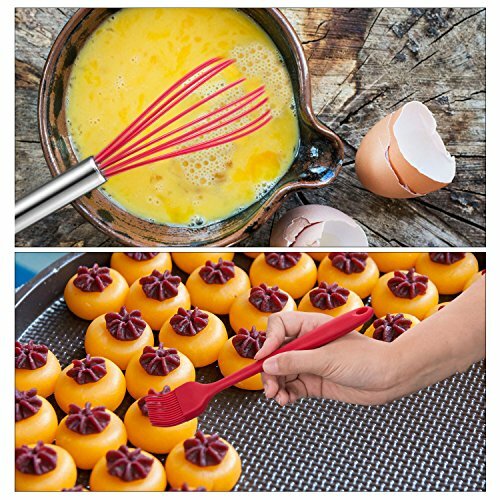 ★Easy Clean: The silicone baking sets are easy to clean, just wash with warm soapy water and rinse with clear water, they can easily resist the stains and odor. Moreover, dishwasher safe, make more convenience for your life. ★Satisfactory Warranty: WARMWIND 100% Money Back. If you have any questions, please contact us at any time. We also will try our best to supply you the top after-sales service. If you have any questions about this product by WARMWIND, contact us by completing and submitting the form below. If you are looking for a specif part number, please include it with your message.